Before I begin, let me say how much I love this school. OVS has provided me with a home away from home and friends that I will cherish for the rest of my life. That being said, this school isn’t without its flaws. So, that’s what I’m here to talk about today. Every Monday, the dormers have to dress to the nines and sit at the usual cafeteria plastic tables, but set with tablecloths and flowers in vases. Boys dress in their nice shoes and suits, while the girls step into their heels and flowy dresses. The dining hall’s aura is changed into that of a nice restaurant, instead of its usual casual conversations and colorful plates. But, before any girl can make it across the hill, she has to go through dress check. Basically, she is required to check her outfit with a dorm parent. While this isn’t my main point, I must say that this process is, in its root, sexist. We have to make sure that our bra straps are concealed, our dresses aren’t “too short,” and that we look like “nice, young ladies.” Girls have to follow a strict set of rules and to what avail? We all know that we can’t show our underwear and shouldn’t be wearing jeans and a t-shirt. I apologize severely if throughout my meal my bra strap distracts a boy or teacher from finishing their mashed potatoes. I’m sorry if the skirt of my dress shows my upper thigh when I first sit down or stand up. I’m not saying that I want to wear a cocktail dress to dinner. I just don’t get why a low back is so offensive if we are sitting down for the entirety of the meal? Back to my main grievance for the day, a new rule has been put in place. During dress check, if our dress doesn’t meet any certain guideline, we will be given a dress to wear. Not just any dress, though. No. 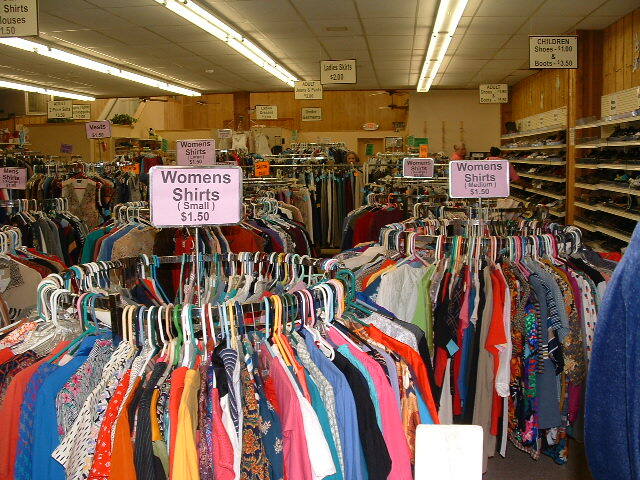 We’ll have a choice from one of the many new thrift shop garments hanging up in the lounge. The dresses aren’t simply to meet the guidelines of the meal, but to embarrass those who don’t make it through dress check the first time around. Shouldn’t the whole purpose of dress check be to make sure our dresses are appropriate? If we are showing too much skin or our bra, we are expected to change. This system is in place to make sure that doesn’t happen. Why are we now being penalized for following the rules? We are checking to make sure we can wear our outfits to dinner. That’s the whole point of that exercise. However, this check will become a test. If our dress doesn’t fit the needs of the school, we’ll have to put on an oversized piece of obnoxious floral cloth or an outdated two piece set. Well, I guess I’ll have to make sure not to corrupt the young minds of the boys around me! And, hey, thrifted clothes are so in!